I hardly gave Steve Jobs a thought while he was alive, but like many people I’m fascinated by trying to understand his significance now that he’s gone. I encourage you to read any of the following pieces if you want to know more about Jobs. The first was an article by James Surowiecki in The New Yorker called “How Steve Jobs Changed.” The piece talks about Jobs’s legendary perfectionism (like deciding how many screws should be in a laptop case). His insane attention to detail was critical to Apple’s success, but it also required the company to control every part of the user experience and “make everything it possibly could itself.” His commitment to control made Macs expensive and hard to customize, which is why most people ended up using P.C.s. Jobs always wanted Apple “to own and control the primary technology in everything we do,” but in recent years his “obsession with control had been tempered.” There are more than 400,000 iPhone apps written by outside developers, for example, and “many are so inelegant that Jobs must have hated them.” The old Steve Jobs might have tried to limit the number of apps in the interest of quality; the new Steve Jobs “essentially said, Let a thousand flowers bloom.” “In giving up a little control, Jobs found a lot more power.” A good lesson for all of us. 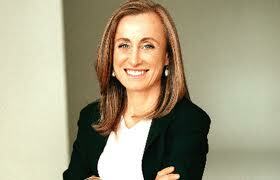 The second is the eulogy delivered by Steve Jobs’s sister, Mona Simpson, at his memorial service. Jobs had been given up for adoption as a baby and Simpson was born later and raised as an only child by their mother. He tracked her down when she was 25 and they were close friends for the next 27 years. Her eulogy is about the things she learned from Jobs, and it is appealing because her perspective is so personal. 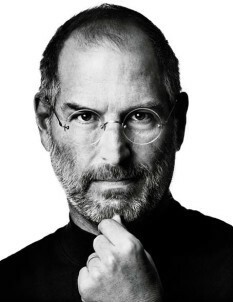 Jobs worked at what he loved and “[h]e was never embarrassed about working hard, even if the results were failures.” His highest value was beauty, not novelty, and he was willing to be misunderstood in aspiring to make beautiful things. Love was his supreme virtue, and “Steve was like a girl in the amount of time he spent talking about love.” He was humble and lived simply rather than like a billionaire. “Even ill, his taste, his discrimination and his judgment held.” Jobs went through 67 nurses before finding “kindred spirits” who he completely trusted and who stayed with him to the end. He was an absolutist and a romantic. 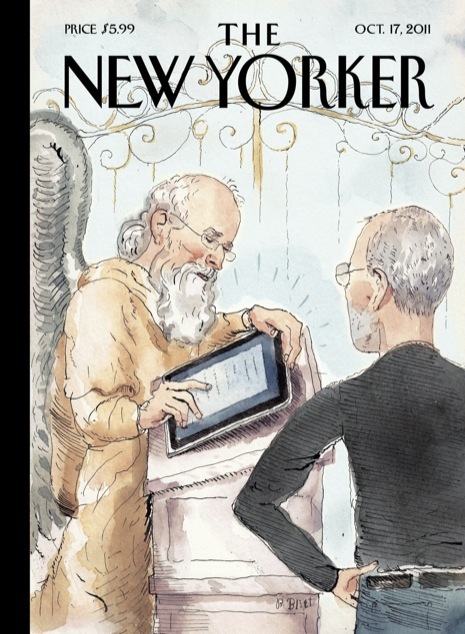 The last is a first-rate article by Malcolm Gladwell called “The Tweaker” in this week’s New Yorker that is based on Walter Isaacson’s new biography of Steve Jobs. It is classic Gladwell in synthesizing the original work of others to develop his own original insights. He describes academic research concluding that Britain dominated the industrial revolution because it had a far larger population of “resourceful and creative men who took the signature inventions of the industrial age and tweaked them―refined and perfected them, and made them work.” Gladwell argues that Jobs “was much more of a tweaker” than a large-scale visionary and inventor. Jobs borrowed the mouse and screen icons of the Mac from engineers at Xerox. Apple introduced the iPod in 2001 because “Jobs looked at the existing music players on the market and concluded that they ‘truly sucked.’” Gladwell says that Jobs’s “sensibility was editorial, not inventive. His gift lay in taking what was in front of him―the tablet with stylus―and ruthlessly refining it.” The same was true for smart phones, which appeared nearly ten years before the first iPhone.